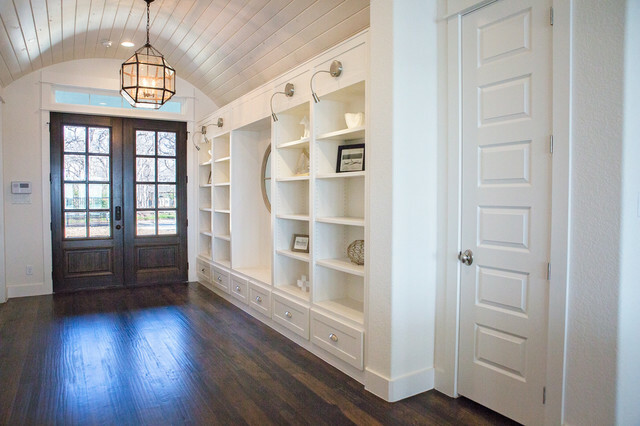 Nautical entry with barrel ceiling and modern shiplap. The transom window and multipanel glass and wood doors fill the space with natural light. Built in bookshelves offer visual interest and storage. some sort of builtin instead of closet? The Eagle Mountain lake home could look like this. Not much square footage, but lots of character and views.